In the treatment of acute myeloid leukemia (AML), the “7 + 3”-based strategy, combining cytarabine 100–200 mg/m2 for 7 days with an anthracycline for 3 days, remains the standard of care for younger and medically fit patients. Daunorubicin (DNR) and idarubicin (IDA) are the two anthracyclines most commonly used. DNR and IDA are used interchangeably with different conversion factors, as there is no high-level evidence on the equipotency of these two agents for AML treatment. To determine the equipotent doses of DNR and IDA, we first systematically reviewed studies directly comparing the clinical outcomes of AML induction therapy utilizing DNR and IDA. 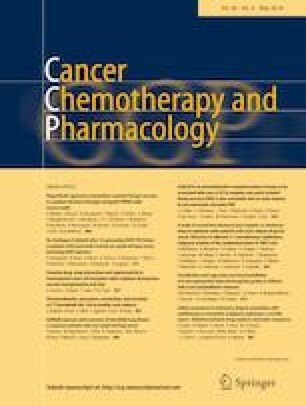 We found 15 articles that met our inclusion criteria and compared time-to-event survival end points as well as complete remission rates post-induction. The DNR:IDA equipotency ratio was estimated at 5.90 with 95% confidence interval (CI) 1.7–20.7. To validate the estimate from our meta-analysis biologically, we conducted in vitro tests comparing anti-AML activity of DNR and IDA against six AML cell lines and two primary AML cells from patients with different cytogenetic and molecular characteristics. Based on these in vitro data, the equipotency dose ratio between DNR and IDA was 4.06 with 95% CI 3.64–4.49. Combining the estimates from the meta-analysis and the in vitro data using inverse-variance weighting, the current best estimate of the DNR:IDA equipotent ratio is 4.1 with 95% CI 3.9–4.3. This estimate, however, is largely driven by the in vitro chemo-sensitivity data. Given clinical studies demonstrating the safety of IDA at higher doses, our work implies that dose intensification of IDA could be investigated in future clinical trials in AML. The online version of this article ( https://doi.org/10.1007/s00280-019-03825-2) contains supplementary material, which is available to authorized users. The work was partially funded by the NCI Grant P30CA134274 to the University of Maryland Marlene and Stewart Greenebaum Comprehensive Cancer Center. SA performed the literature search, designed, created Supplementary Table 1 and Figure 1, and helped to write the manuscript. RGL and BACC performed in vitro studies and helped to write the manuscript. AD and CP provided consultation on pharmacy-related issues and helped to write the manuscript. JYL developed the second draft of the manuscript under the direction of AE. MRB helped to write the manuscript. YZ and NPA performed cytogenetic and molecular analyses. SMB developed the statistical design and performed statistical analysis and co-authored the final result section with AE. AE developed the study design, supervised data collection and all aspects of the study, helped with data analysis, coordinated different sections of the project, and wrote and revised the manuscript. The authors declare no relevant conflicts of interest. No informed consent was needed for this research.